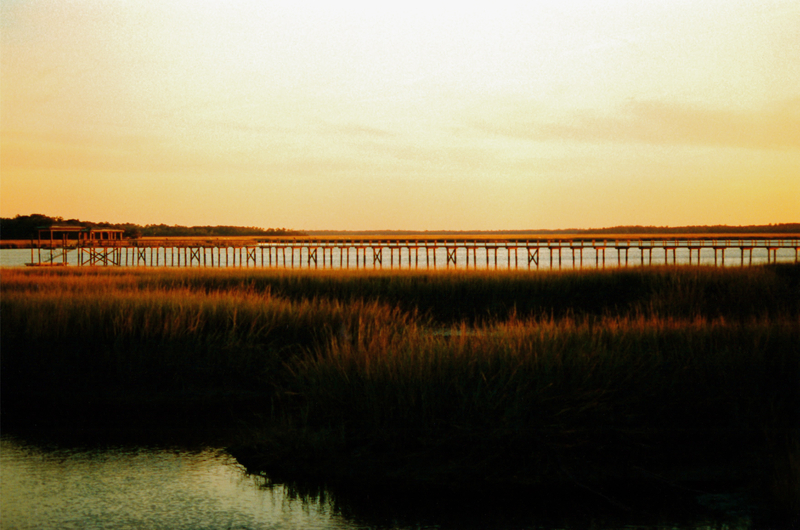 The Turtle River and the marshes of Glynn County, from Oak Grove Island near Brunswick, Ga., at sunset on Christmas Day 1996. Nikon N8008AF. Nikkor 24-50mm lens. Fuji Velvia, ASA 200. Click on image to enlarge. 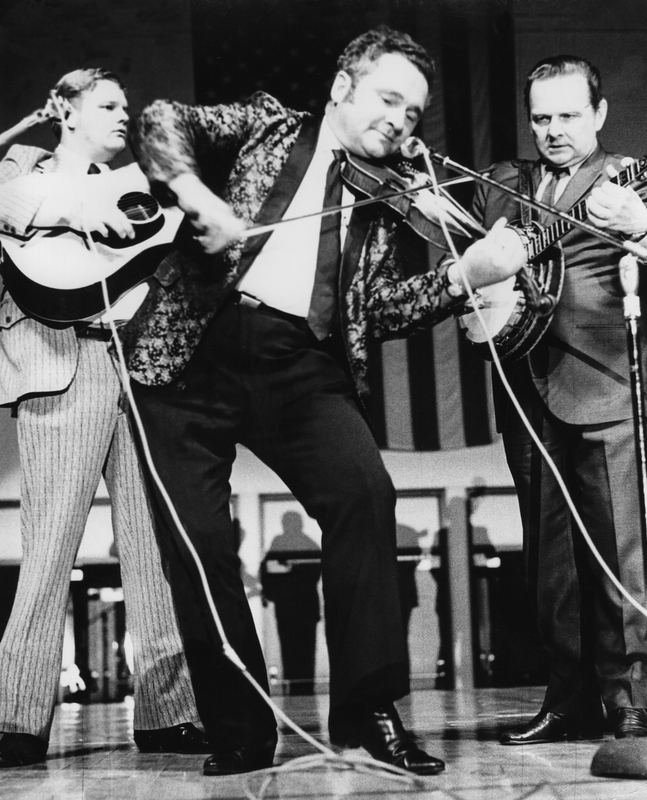 Ralph Stanley and the Clinch Mountain Boys play at Appalachian State University in Boone, N.C., at a concert celebrating folk singer Doc Watson’s honorary doctorate there. Ralph Stanley is on the right. The fiddler is Curly Ray Cline. I lost the guitar picker’s name. The photo, taken May 1, 1973, is a scan from a print; the original negative has been lost. Nikkormat FTn with a Nikkor 50mm, f1,4 lens. Film was Tri-X pushed well beyond its rated ASA of 400. Click to enlarge. 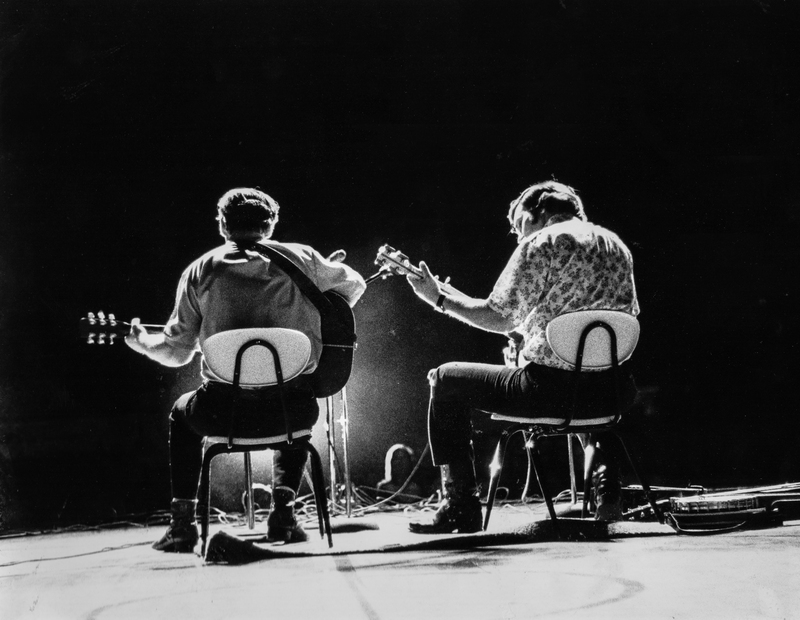 Doc Watson (right) and his son, Merle, play for an audience at Appalachian State University during the celebration of the honorary doctorate that the Boone, N.C., school awarded the blind folksinger. The photo, taken May 1, 1973, is a scan from a print; the original negative has been lost. Nikkormat FTn with a Nikkor 50mm, f1,4 lens. Film was Tri-X pushed to an ASA way, way higher than the normal 400. Published as end plate of “Blind but Now I See: The Biography of Music Legend Doc Watson,” by Kent Gustavson, Ph.D., c. 2010, Blooming Twig Books, New York. Click to enlarge. 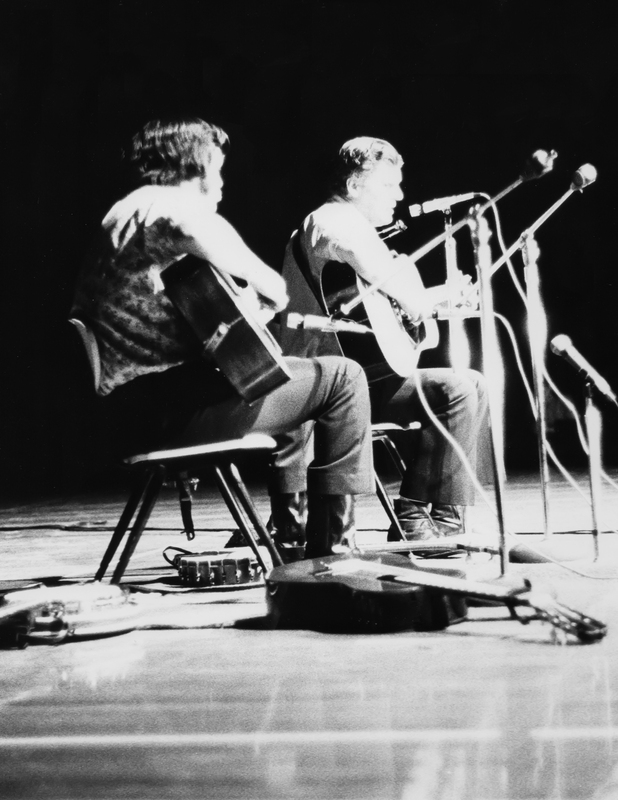 Doc Watson and his son, Merle, play for an audience at Appalachian State University during the celebration of the honorary doctorate that the Boone, N.C., school awarded the blind folksinger. The photo, taken May 1, 1973, is a scan from a print; the original negative has been lost. Nikkormat FTn with a Nikkor 50mm, f1,4 lens. Film was Tri-X pushed to an ASA way, way higher than the normal 400. Published as end plate of “Blind but Now I See: The Biography of Music Legend Doc Watson,” by Kent Gustavson, Ph.D., c. 2010, Blooming Twig Books, New York. Click to enlarge.